Haircuts by Children playfully empowered young people, testing our trust in their generation, making thrills and chills from our vanity. 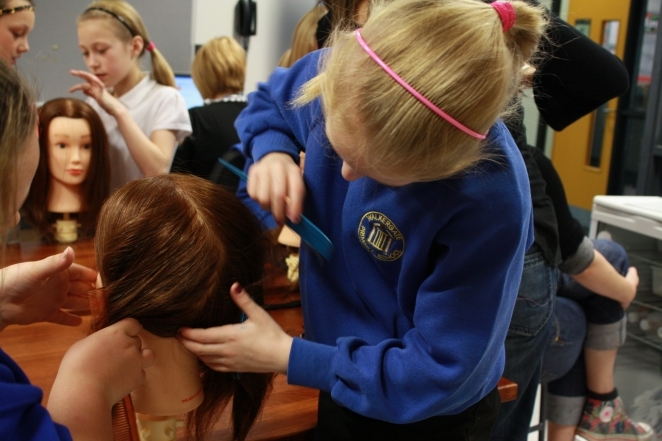 With renowned Canadian arts company Mammalian Diving Reflex and North East hairstylists, 9 and 10 year-old children from Walkergate Primary developed their hairdressing skills on adult volunteers. The children also ran a Hot Chocolate Stall at the event for those too vain to take to the scissors, but curious enough to watch the spectacle. Proceeds from the sales were donated to a charity chosen by the students. 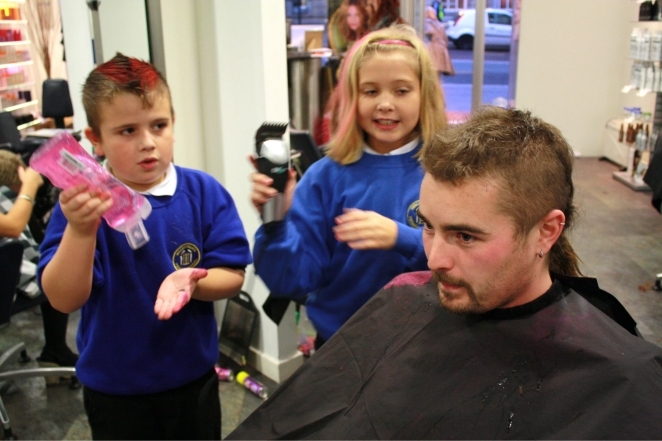 Haircuts by Children was presented by Wunderbar and Juice – NewcastleGateshead’s Festival for Children and Young People and supported by Divine Chocolate Ltd and Dubble, and Saks Hair Salon. Called the ‘Best of New York City’s Performa’ by ArtINFO, Haircuts by Children was presented at festivals around the world before its appearance at the Wunderbar 2009 Festival.